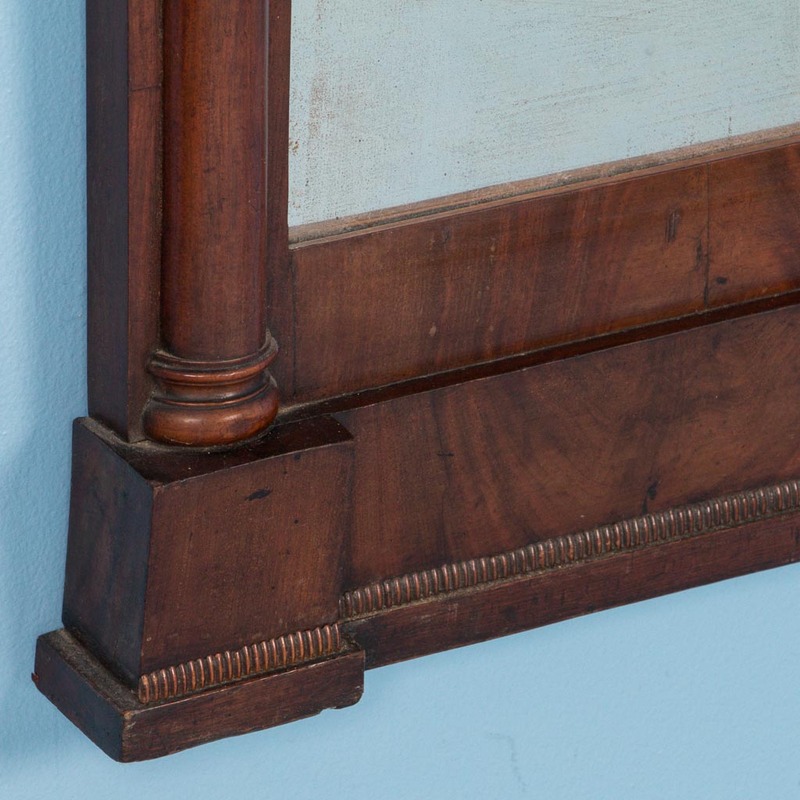 Antique mahogany console table with mirror from Denmark, circa 1830-1850. 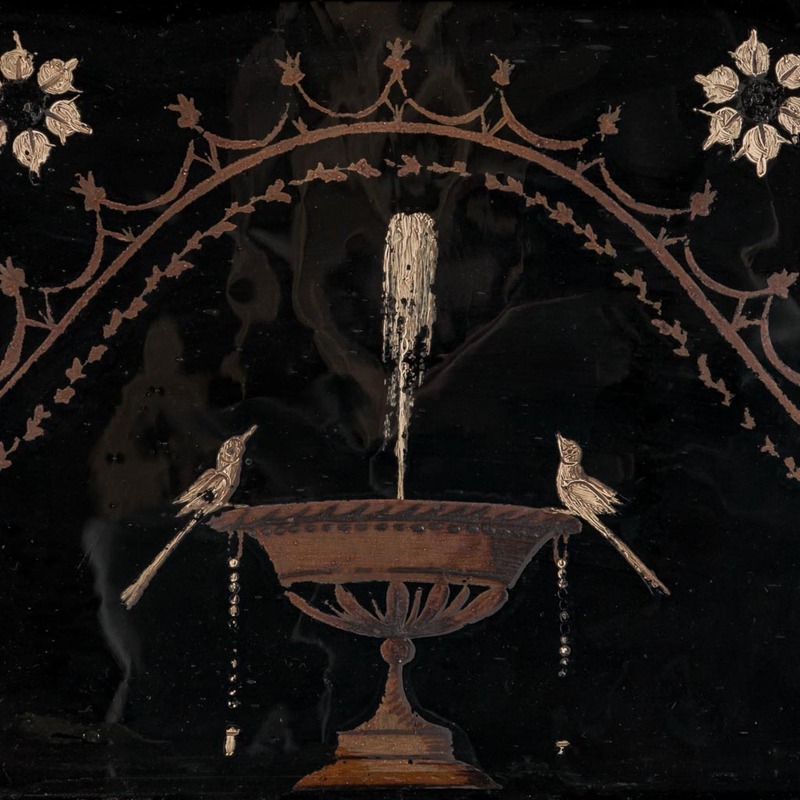 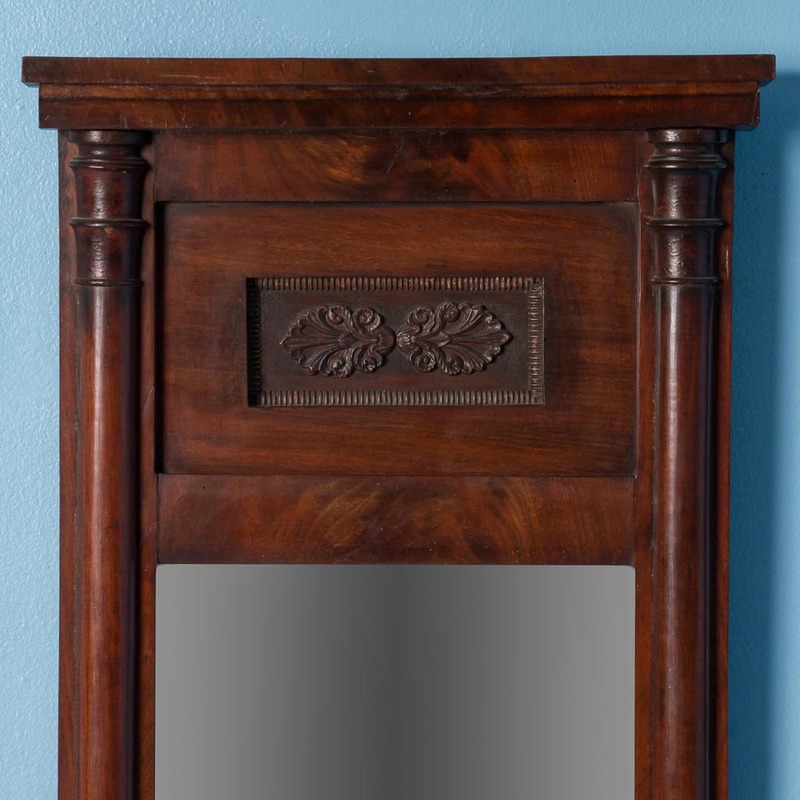 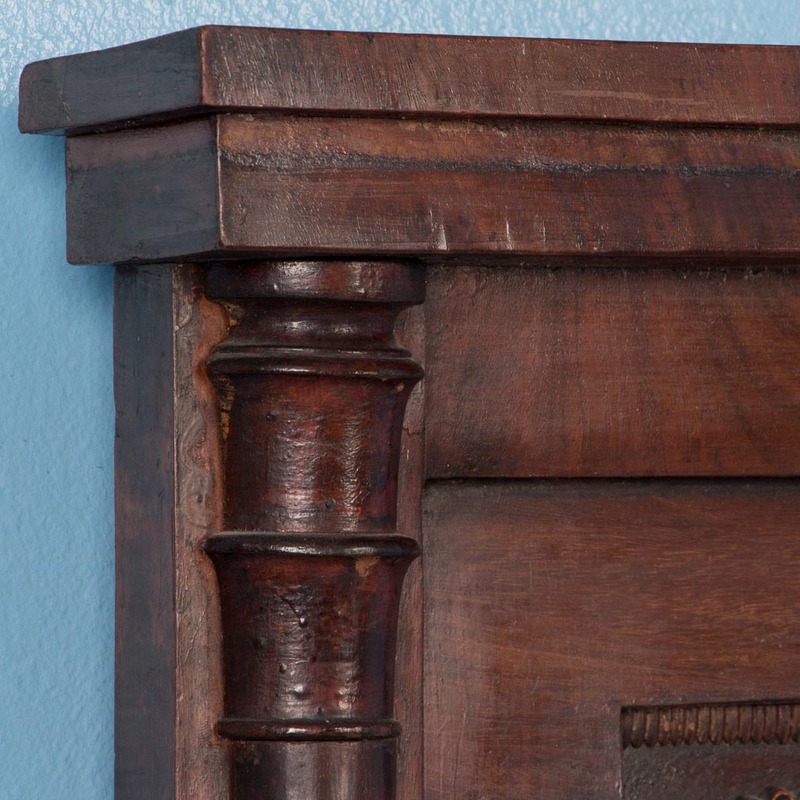 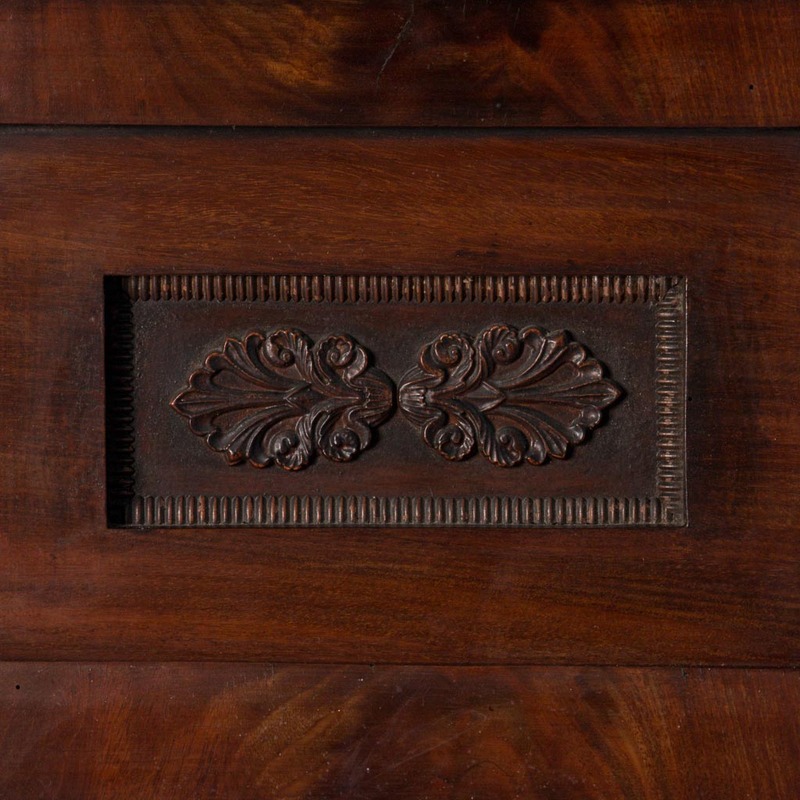 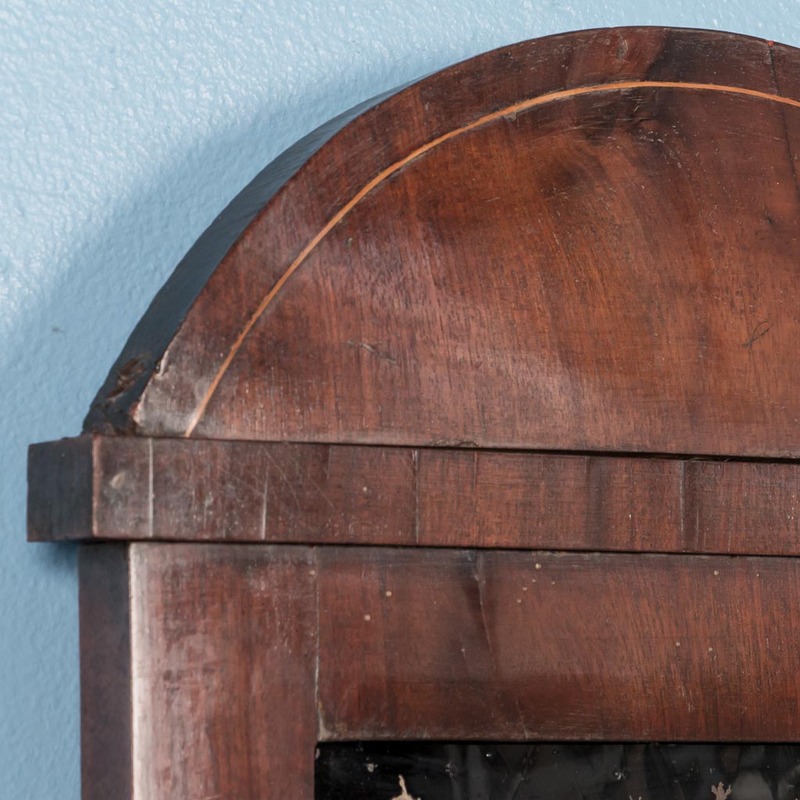 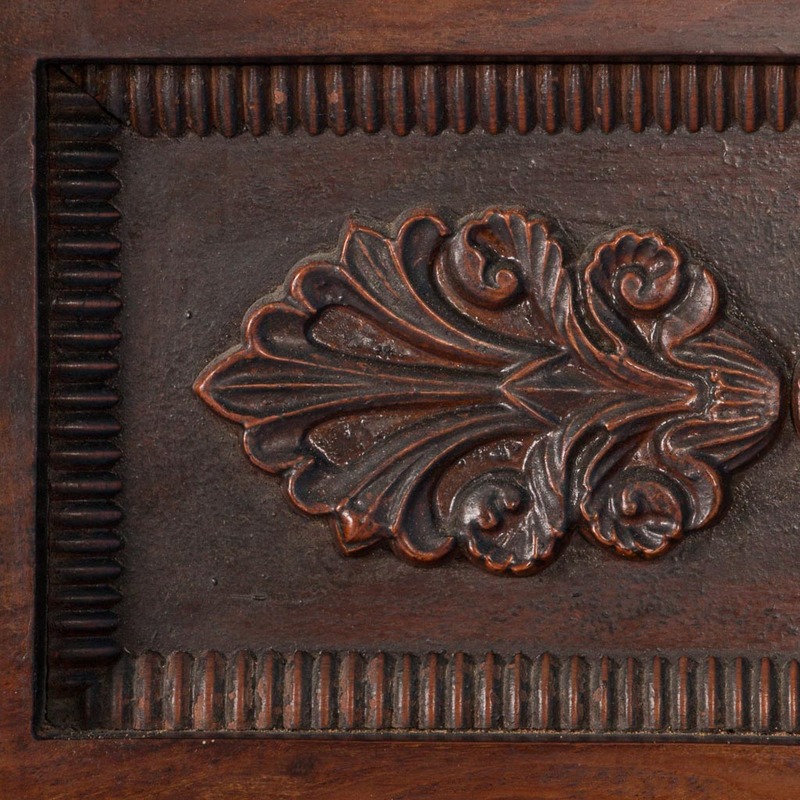 Pair of flame mahogany mirrors from Denmark, circa 1840-1860, with a carved and scrolled pediment. 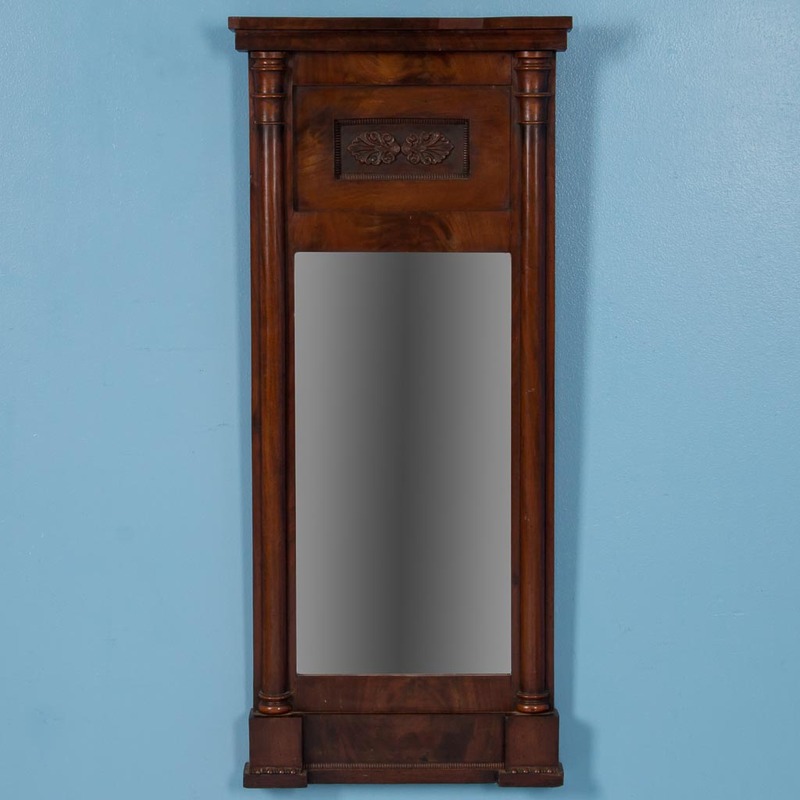 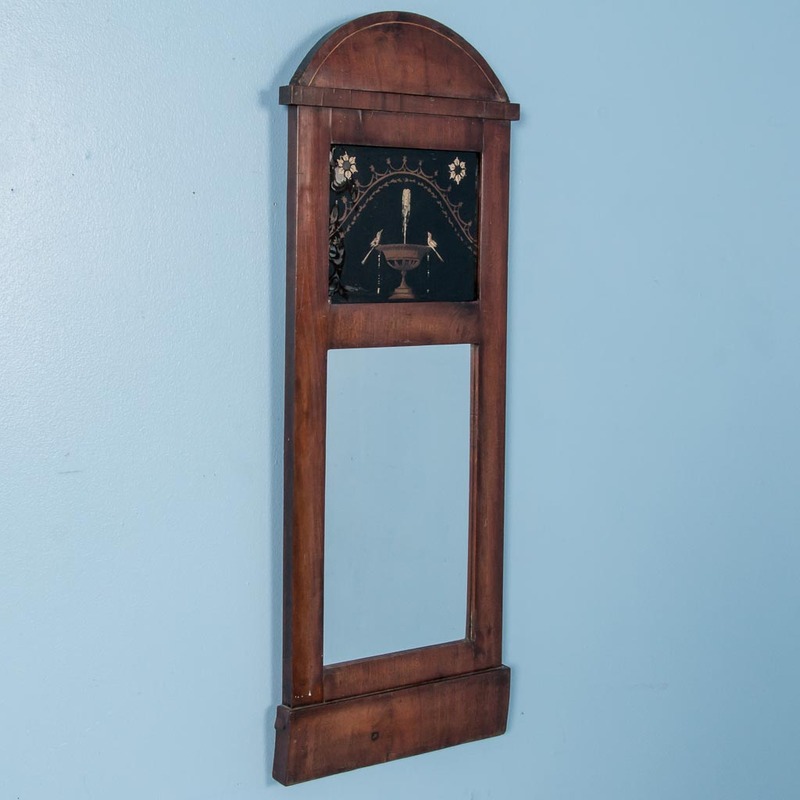 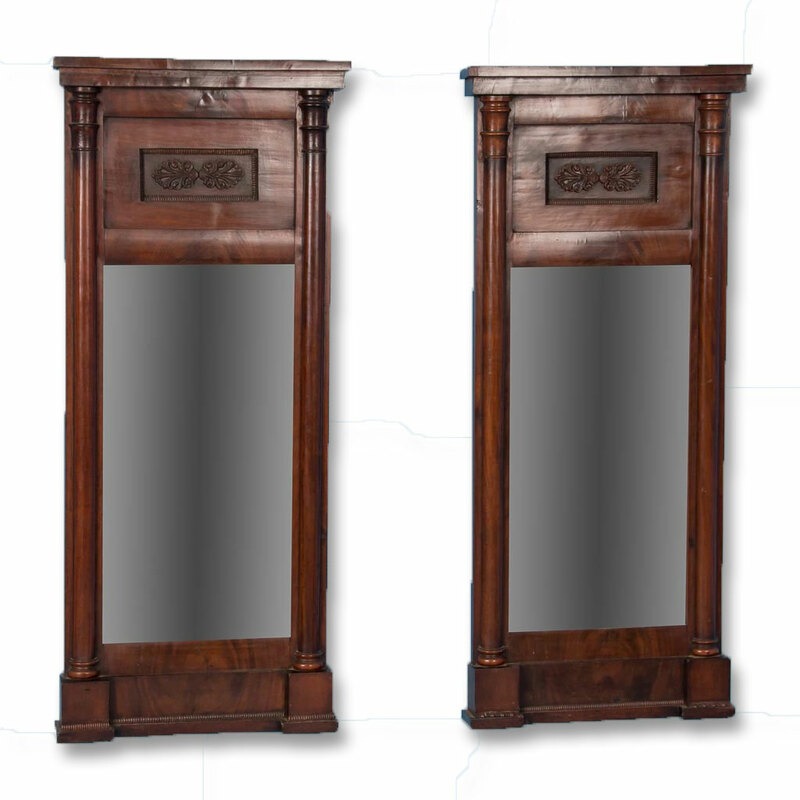 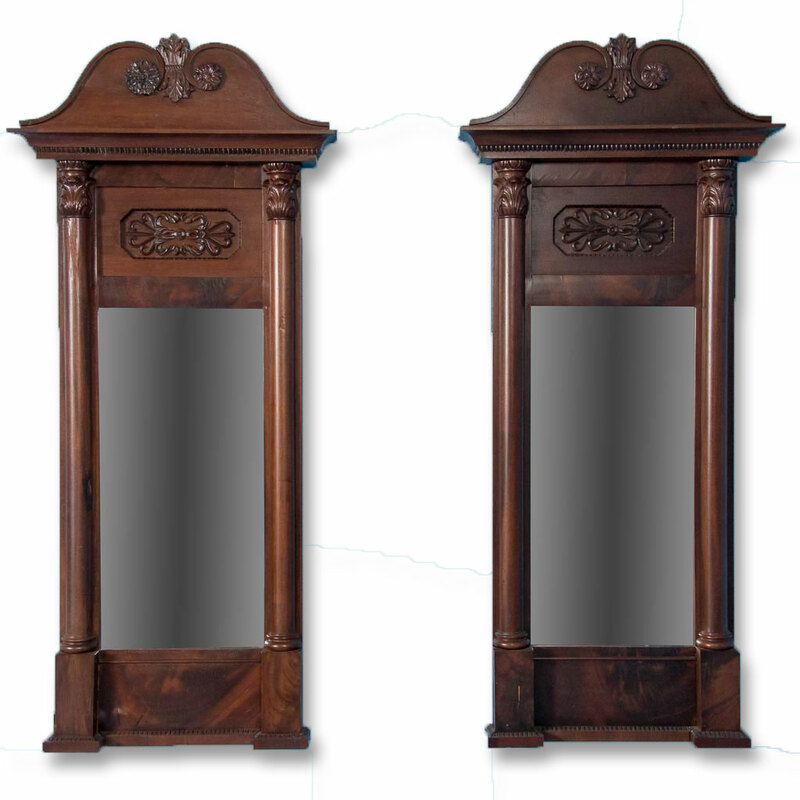 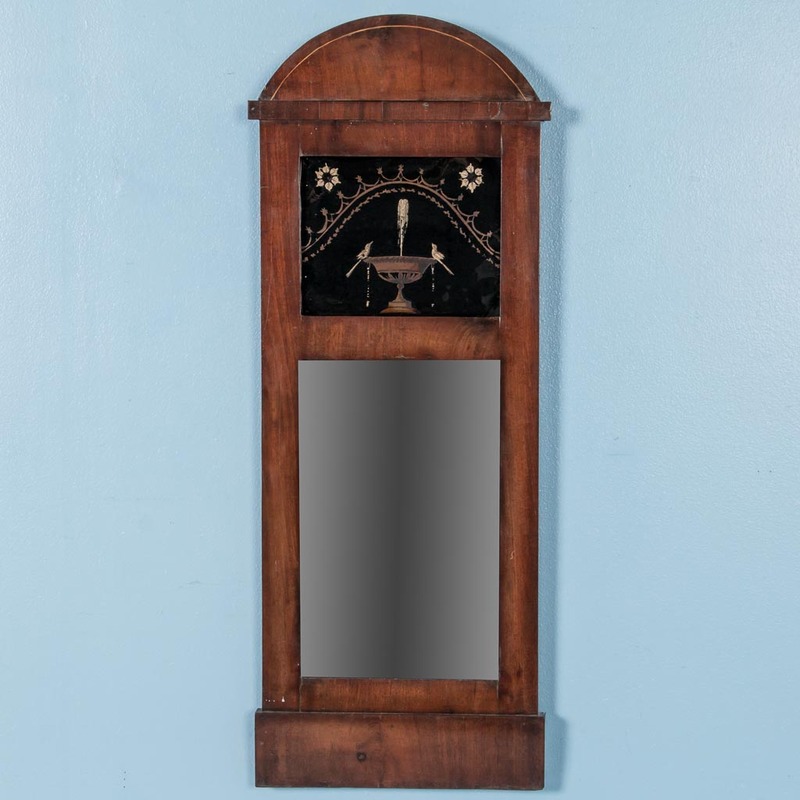 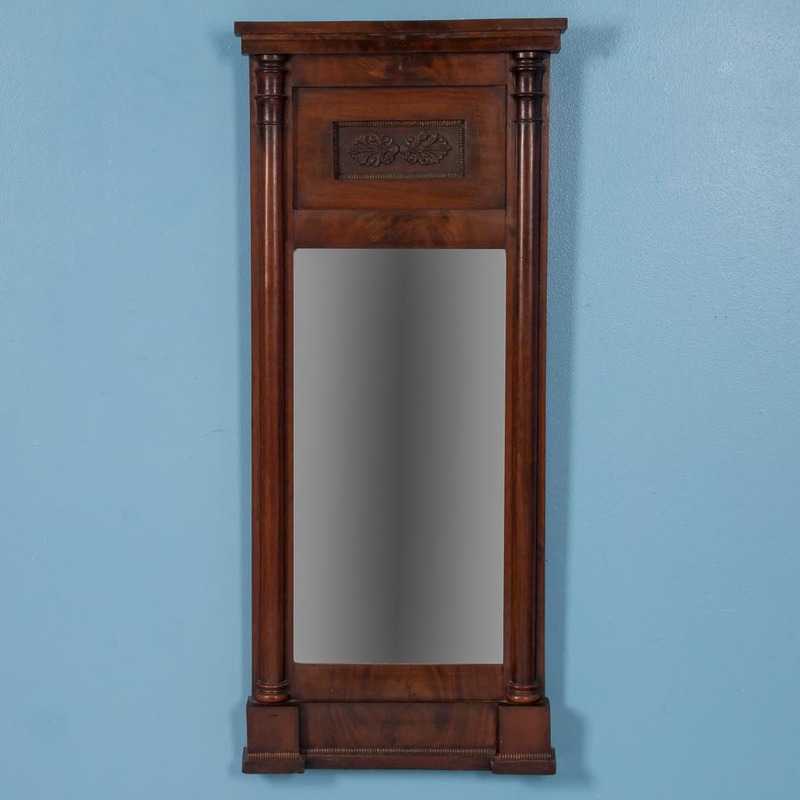 Antique matched pair of mahogany mirrors from Denmark, circa 1840. 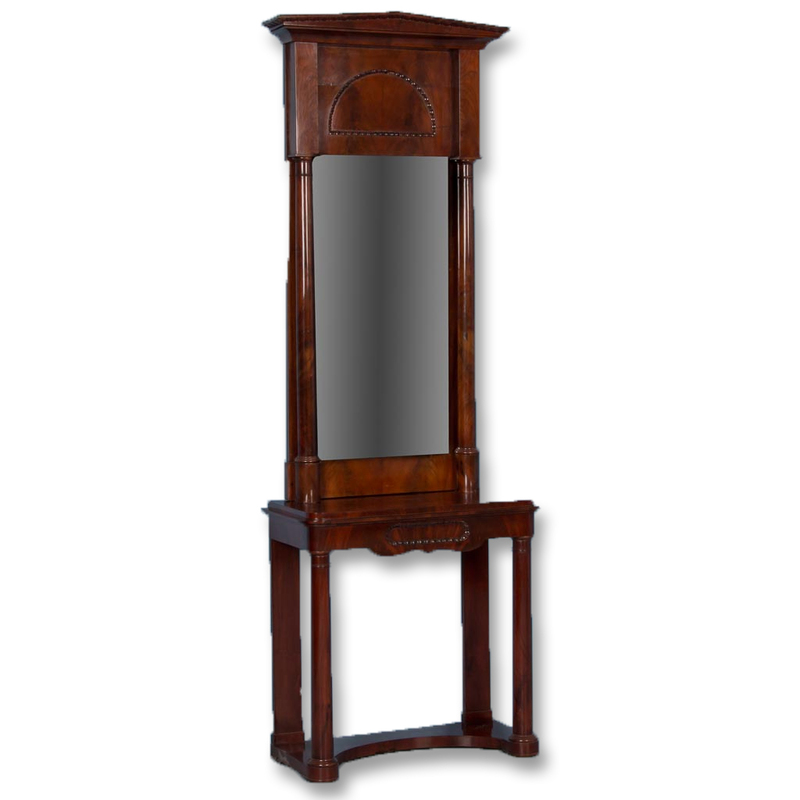 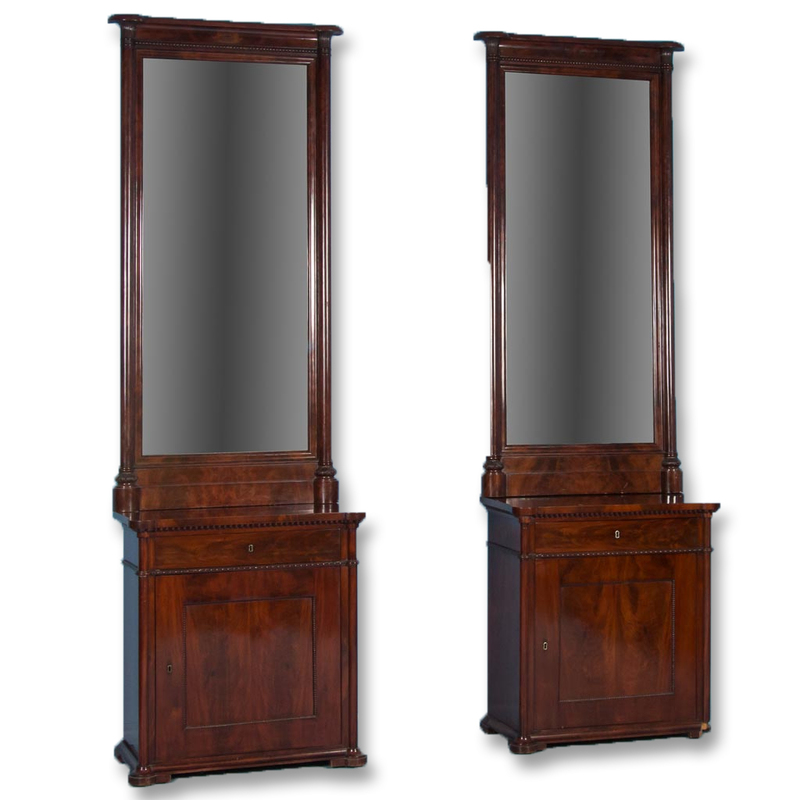 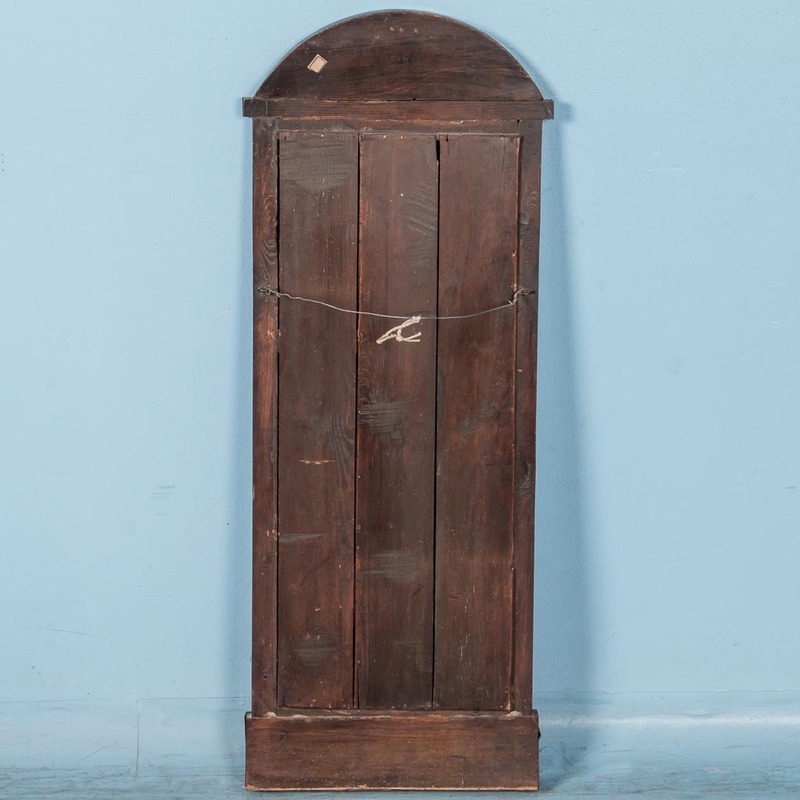 Pair of Danish console cabinets with tall mirrors above, circa 1840-1860, in flame mahogany.